The statement was made by chief economist of the Bank for Investment and Development of Vietnam (BIDV) Can Van Luc, during an online forum held in Hanoi on March 21. The forum was organized after the average retail price for power was officially raised by 8.36 percent starting on March 20, from 1,720 VND (7.49 US cents) per kWh to 1,864 VND (8.03 US cents), excluding value added tax. Different pricing schemes have also been set for households and businesses. Specifically, retail prices for households now range from 1,678 VND per kWh to 2,927 VND per kWh depending on usage. Previously, the input prices (coal, gas) of power generation enterprises still had the sponsorship of the State. However, since 2019, these input costs are no longer sponsored, making electricity prices increase as a necessary consequence, Luc said. Regarding the time, according to Luc, it is suitable because global prices, typically the price of coal and petroleum, are not increasing and not creating a large level of inflationary pressure on Vietnam. The beginning of the year is also a time for the electricity industry to account for its business plan as well as enterprises planning to operate. In addition, this is also the time when the Government may consider adjustment steps to ensure macroeconomic stability. On the other hand, the adjustment of other commodity prices this year must also be considered to ensure that there will be not many commodities with increased prices in a year, otherwise, it will create macroeconomic instability, he added. 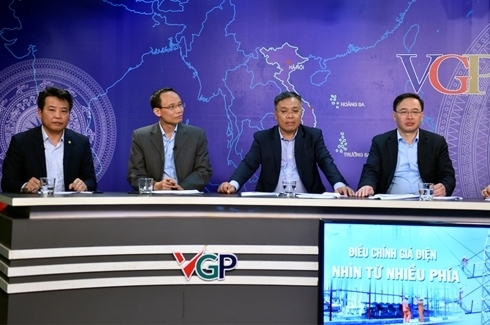 Bach Thang Long, Deputy General Director of Garment 10 Joint Stock Company, said both people and businesses don’t want rising electricity prices because they will put pressure on businesses. 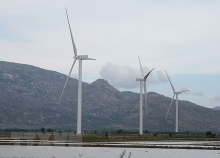 However, firms are not surprised with this price increase because the information about the rise in electricity prices has been captured by enterprises since 2018 to calculate the action plan. Economist Luc added the increase in electricity prices leads to increasing costs in production and business. Hence, it will help businesses reduce energy, raise workers’ awareness and use economical equipment to save the electricity. This is necessary for businesses in the current context to improve competitiveness in the market. He also suggested that Government needs to eliminate cross-subsidising mechanisms for objects using electricity. At present, the industrial sectors consuming large amounts of electricity, accounting for 55 percent of the electricity density, such as cement, iron and steel, are being compensated for electricity prices and only subject to the lowest price of 6.8 cents per kWh. Meanwhile, the electricity price for households is up to 8.7 cents per kWh. “Currently, consumers using electricity for domestic use as well as service enterprises are compensating a certain amount for industrial production enterprises – that is unfair. When there is fairness, people and businesses will agree and are willing to pay more reasonable electricity prices,” Luc said.